VANDERHOOF – A wet fall and a lack of snow cover has resulted in winterkill of more than 20,000 acres of alfalfa in the Nechako Valley. The issue became apparent to forage growers this spring when the alfalfa simply failed to appear. Acreage that the year prior had produced three to four tonnes per acre of export-quality alfalfa came up weeds. Dowswell farms cattle and forage with her father, Ken Fawcett. They run about 500 cow-calf pairs, putting up feed for their livestock and growing alfalfa for export. This year they’ve lost just over 1,800 acres of alfalfa. What wasn’t killed completely came in patchy and full of weeds. “When the hay plants came in, it was another way of diversifying so we put a lot of expense into going into the alfalfa export market,” she says, referring to two hay compression plants built in the last five years that export to China. “It felt like it was possible to get land back into production. We’ve been adding about 500 acres per year into rotation and getting things back into shape. We survived through the BSE crisis in 2003 but 14 years later, it’s pretty devastating to be hit this hard,” adds Dowswell. Little Valley Farms is not alone. At least 70 farm families have been affected by the winterkill in an area that stretches from Vanderhoof to Fraser Lake. Most farms had already incurred costs fertilizing the fields before they realized the crop wasn’t coming. Without money to reseed, growers are facing a difficult future. Many have already sold cattle, equipment and even land to keep the bills paid over the summer. With lines of credit tapped out and very little crop expected, people are bracing themselves for the fall. It’s a strong statement coming from a young man who left the University of Alberta, where he was working on a Master’s thesis on hay export, to help start Nechako Valley Agri Ltd., one of the area’s two hay processors that have bought thousands of acres in recent years to meet export demand. TopHay Agri-Industries Inc., the other processor, lost 3,000 acres to winter kill this year. Judd Wu, CEO, said this leaves TopHay struggling to supply its Chinese contracts. Brian’s father, John Kochel, is president of the Nechako Valley Cattlemen’s Association. He has been leading a local effort to request disaster relief support from the provincial government. “I went to our MP in Ottawa and he got the federal minister of agriculture to call the BC government and ask what’s going on. They say we hit the parameters of the [federal] AgriRecovery program with no problem but the provincial deputy minister wouldn’t even send it to the federal government. It just died on the table; there’s no sense to it,” Koch explains. 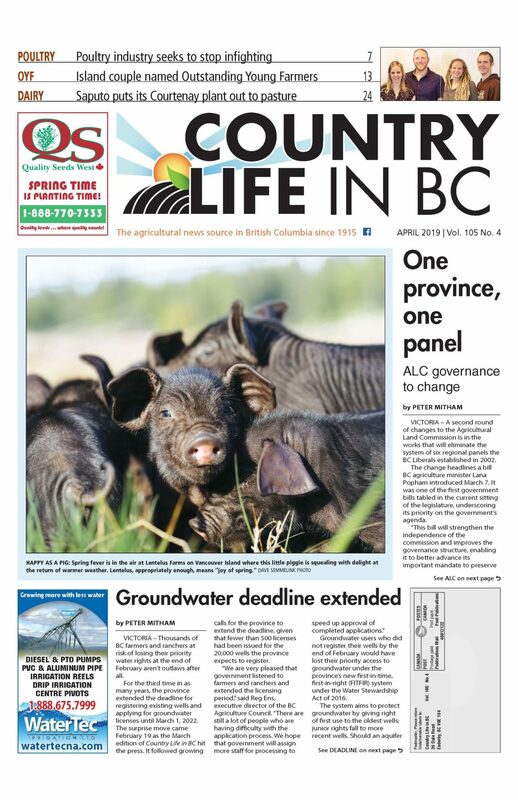 Country Life in BC’s request for interview with provincial business risk management staff was refused. The BC Ministry of Agriculture acknowledged the crop failure in a statement but simply provided information on existing risk management programs. It’s the same response John Kochel received after working with provincial staff for two months to draft a request for emergency funding. The package requested $205 per acre, an amount equivalent to a fraction of lost revenues and reseeding costs. The flat-out rejection from the deputy minister came like a slap in the face. Little Valley Farms has participated in crop insurance programs since the 1980s. Despite having coverage, they are struggling to get fair compensation for what they have lost. Fields are being excluded, and they have been told to harvest small patches, and to bale the quackgrass and weeds. Choosing to stay the course, Dowswell has battled a plodding process that has prevented them from being able to even seek additional credit to replant this year. Alfalfa is expensive to seed, but the cost is usually spread out over five to seven years. Most fields don’t get a substantial yield until their second season. The delay makes the impact of the losses more dramatic for the region. Ken Fawcett has farmed in the Nechako Valley for over 50 years, and has never seen a crop failure of this scale. He’s not a man of many words but he’s frustrated by the lack of response from government when so many producers are affected, and so much is on the line. He says the way they treat cattle and forage producers doesn’t measure up to support for other sectors. John Kochel is regrouping after allowing time for the government transition. He’s optimistic about Lana Popham’s appointment as agriculture minister and hopeful that she’ll make the situation a priority. 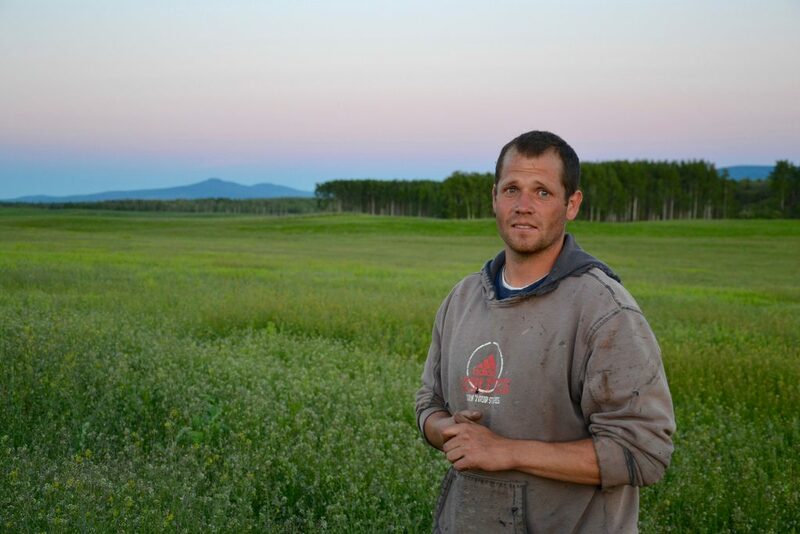 He says it’s not just a fight for his family and farm, it’s a fight for the future of his community.